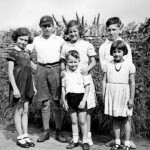 The Chadlington Five – but who are the other children in this photograph? Four of the Chadlington Five but who is the girl with the bead necklace and who is the older boy with the peak cap? The story of five children who were evacuated to Chadlington during the War Years. Jan has written to us on behalf of her mother Joyce Fish, who was briefly evacuated to Chadlington during the war. 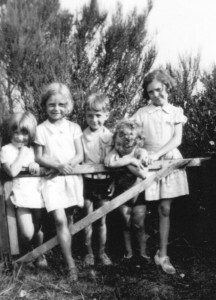 She has sent this amusing story of how Joyce and four other children came to the village from Sydenham to live with a local family. 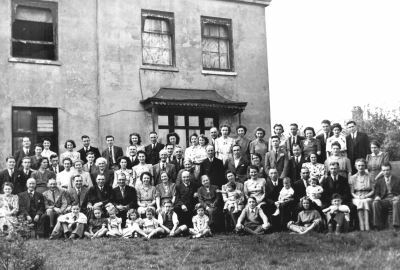 The photograph on the History of Chadlington page includes a couple of children whose names her mother cannot remember and she would be very grateful if anyone locally can put names to their faces. Who is the girl with the beads and the boy with the peak cap? If you think you know who they are, please send a message to us via the ‘contact us’ link on the website. 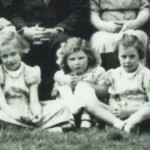 “Despite my hope that there were people still in Chadlington who possibly remembered the Townsend family, who kindly offered my young Mum and her cousins into their home, I was really surprised and pleased to see the comments from Alan Williams and Nancy Catlin – Lil and Norman’s niece and the Girl With The Beads! I’m afraid, Mr. Williams, that I still don’t know the identity of the young man in the peaked cap. Mum seems to think his name was Edgar Wallace or Wallis, but she may have made that up! Further to this, I am delighted to say that I have been contacted recently by Carole Galloway, who is the daughter of Albert “Joe” Townsend. Joe must have been about 17 years old when the children were there and took them to the farm with him when he went to work. Carole spoke to Mum on the telephone about her memories of Joe, and I believe it must have given her a lot of pleasure to hear how kindly Mum remembers her Dad. I understand that Joe continued to work for Farmer Manning until his retirement. 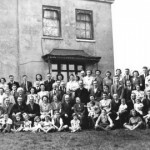 On my mother’s side, my large family originate from Sydenham, South East London, my great grand-parents, Alfred and Annie Horlock, having had eleven children. One of their daughters, Doll, became friends with a girl with whom she was a maid in service (probably in one of the “big houses” along Sydenham Hill, though I can’t be sure of that). The girl, Lil, married Norman Townsend and the couple became known to the family as “Aunty Lil and Uncle Norman”. I’m afraid I don’t know how or where they met or even whether Norman was a native of Chadlington or Oxfordshire generally. 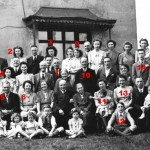 By 1939, however, the couple were living in Chadlington at the house* in Church Road with their family, which consisted of Frank, the eldest son, Albert, who was known as Joe for some reason, the youngest daughter, Audrey (10) and an older daughter whose name my mother can’t remember unfortunately. Uncle Norman was chauffeur to Lord Roche. Frank had been called up by that time, I understand, and Mum never met him. War was becoming increasingly likely so Aunty Lil offered a home to five of the Horlock grandchildren to which they could be evacuated. 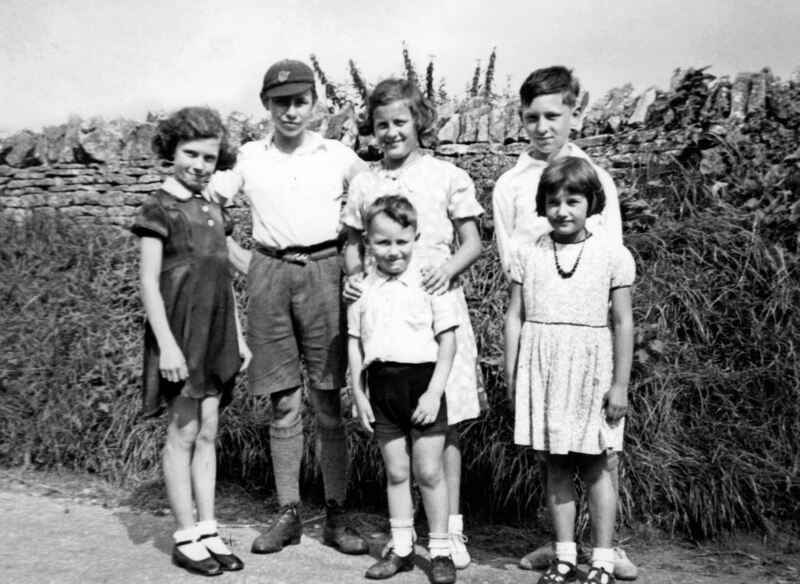 Therefore, during the summer of 1939, my mother, Joyce Fish (10), her cousins Jean and Betty Horlock (8 and 6 respectively), Donald Mears (10 and Doll’s son) and Michael Holiday (5) were despatched to Chadlington and safety. As Mike was so young his mother, Violet (Doll’s sister) accompanied him. All went well to start with. “Joe”/Albert worked on Farmer Manning’s farm and took the children with him to play and to ride the farm horses, Punch and Judy. And to eat apples! One of the photographs shows the children standing in Church Road, opposite the house, and I’m told that, afterwards, they found a pile of apples, so ate them. Subsequently, they were given a tree and told that they could eat the apples from that if they left the rest alone! It was so much of a shock, in fact, that they concocted letters to their respective parents, requesting an immediate return home. They backed the request, or should I say demand, with a threat that “if you don’t come to get us we’ll follow the train lines home”. It seems that they instilled sufficient panic in the various households because, without further delay, the parents descended on Chadlington and whisked the children back to Sydenham. There they all remained throughout the war, coming out the other side intact, despite the Blitz. Although their stay in Chadlington was brief, (at least, briefer than intended!) the memories have remained. Joyce and Mike, now in their 80s often recall those days. Don lives in North Lancing, down on the south coast. 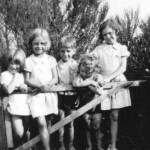 Jean and Betty have both passed away I’m sorry to say, but their children (my generation) are also fascinated by The Chadlington Five’s childhood adventure and we all love to pore over the old family photos. Can you recognise anyone else in this photo? I hope that my family’s connection with the village will be of interest to you. Dare I hope, also, that there may be someone still there who will recognise the children in the photographs? It would be nice.